Another year, another Summerlicious (is it really worth it in the end?). But, nevertheless, tradition states that my girlfriends and I join in merriment annually. So yes, that is what we do. This time around, we were all crazy busy and left it to chance and chance said that we would try out Oretta. 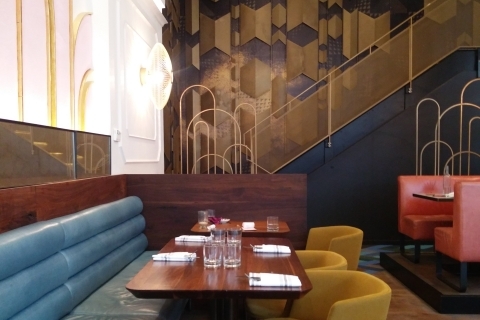 Oretta, located on King St. W, is an eclectic, 1920’s inspired looking restaurant. Beautiful high ceilings, reminiscent of cathedrals and a decidedly Gatsbyesque decoration, I was instantly delighted to take pictures. I can tell you I wasn’t the only one. We sat down, and took a quick look at the menu before deciding to share all the apps. Best. Decision. Ever. Another week at Curiosity to the Oven! My NSSSO decided that date night was imperative, mostly because I’ve been stressed and overworked. And I may or may not have mentioned that we haven’t had a date night in a while… oh yes passive aggressive comments (Go Me!). So, he dressed up (his version of dressing up), told me my work clothes were fine and drove me to a restaurant I had never heard of. We arrived at a plaza in Scarborough and I looked around. It’s usually strange that he discovers restaurants (it’s usually me), and it’s strange that it’s out of York Region (because we are lazy and travelling south always feels too far). But I’m generally game for anything (that actually means that I’m terrible when it comes to surprises and I ask so many questions that a lot of people give up and just tell me). Remezzo wasn’t much to look at. I definitely stood in front of it and went “hmmmm” before I walked in. It is so quaint on the inside. 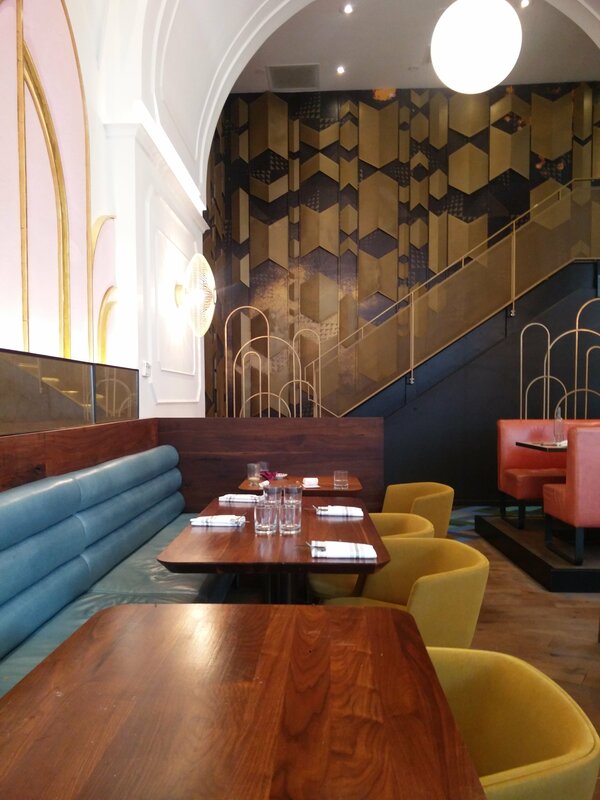 The restaurant was on the dark side, but it had all this wallpaper that I imagine would exist in a British Grandma’s(because Netflix is never a good indicator of what British lifestyle is…) house. Despite that, it was very “Old Boys Club” with the wood trim and the low lighting. I almost expected someone to take out a cigar. Remezzo is also extremely spacious. None of the tables were so close that the backs of chairs touched, and you didn’t have to try to flatten your stomach to walk between tables. That remains amazing to me.